La’Quana Jones was Published with Ambiance Books January 2015. She Is A single Mother, Motivator and Educator. She has always expressed herself through writing, (Mostly poetry). She graduated from International ( IADT- ) with an AAS in Fashion Design and Merchandising in 2011. Writing is her first love. 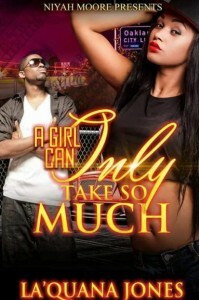 Her first Novel; A girl can only take so much is available on amazon. I like to entertain people. I think it’s going t get more competitive.